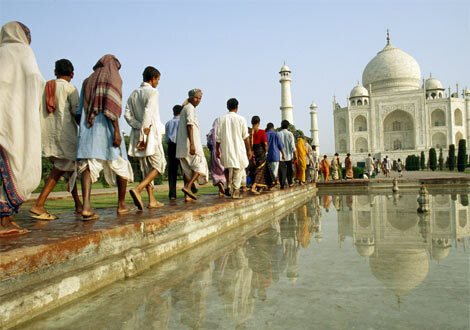 Agra is a city in the N Indian state of Uttar Pradesh, around 200 km from the Indian capital city of Delhi. 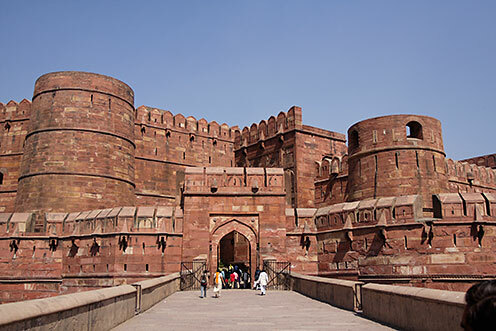 It is the home of the Taj Mahal (Crown Palace), one of the most famous architectural monuments in the world, and two other UNESCO World Heritage sites, the Agra Fort in the city and Fatehpur Sikri are nearby. The city has little outisde of these 3 sites and is generally visited as part of long day trips from tourist base areas in India. Pollution, especially smog and litter, is rampant and travellers are pestered by swarms of touts and hawkers at every monument, mosque, temple or palace. That said, the sites are some of the wonders of the world and no trip to India is complete without at least one visit to the Taj. 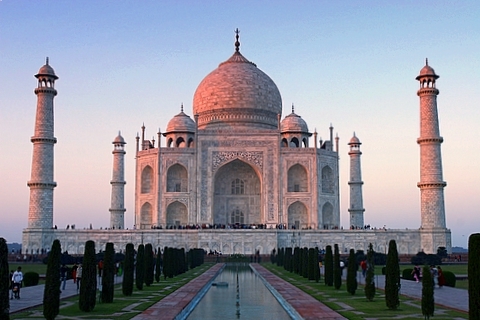 The Taj Mahal is a sightseeing and architectural phenomenon. 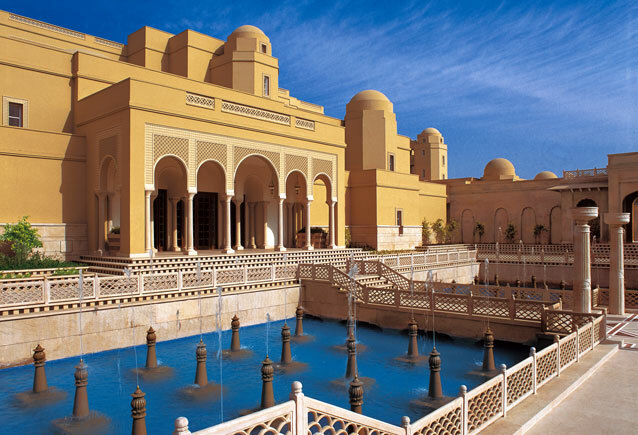 The unique mughal style combines elements of Persian, Central Asian, and Islamic architecture. Most impressive are the black and white chessboard marble floor, the four tall minarets (40 m high) at the corners of the structure, and the majestic dome in the middle. On closer look, the lettering of the Quran verses around the archways appear to be uniform, regardless of their height. The lettering spacing and density has been customized to give this impression to the beholder. Other illusionary effects have been accounted for in the geometry of the tomb and the tall minarets. The impressive pietra dura artwork includes geometric elements, plants and flowers, mostly common in Islamic architecture. The level of sophistication in artwork becomes obvious when one realizes that a 3 cm decorative element contains more than 50 inlaid gemstones.